APA-Nairobi(Kenya) — The Nairobi west Hospital becomes the first clinic in the country and in West, Central, and East Africa to begin treating cancer patients using the Halcyon radiotherapy system. 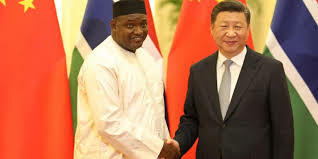 Gambian President Adama Barrow announced upon arriving from the China-Africa cooperation summit in Beijing that The Gambia will benefit from a grant of more than D2 billion (approximately $48 million). Barrow said the Chinese Renminbi (RMB330 million) grant will help his government finance agricultural mechanization and road infrastructure projects. The Gambian leader described the outcome of his trip to China as “a huge success” as his country has signed three cooperation agreements covering economic and technical cooperation, transport and infrastructure, as well as cultural cooperation. "We received assurance of support for a grant in the tune of RMB300 million, in addition to another RMB30 million, which has been pledged for the military as part of the Security Sector Reform programme", Barrow revealed. This is latest announcement of Chinese support to The Gambia, since President Barrow came to power in January of 2017; among the projects China bankrolled is a $50 million conference hall; 590 kilometres of tarmac roads and two bridges, all ongoing civil engineering works. Barrow said China-Gambia relations are getting stronger, and pledged that his government will continue to promote the goals of the One China Policy.